I haven't posted about anything nail related in so, so long now, simply because there isn't much going on with natural nail brands! 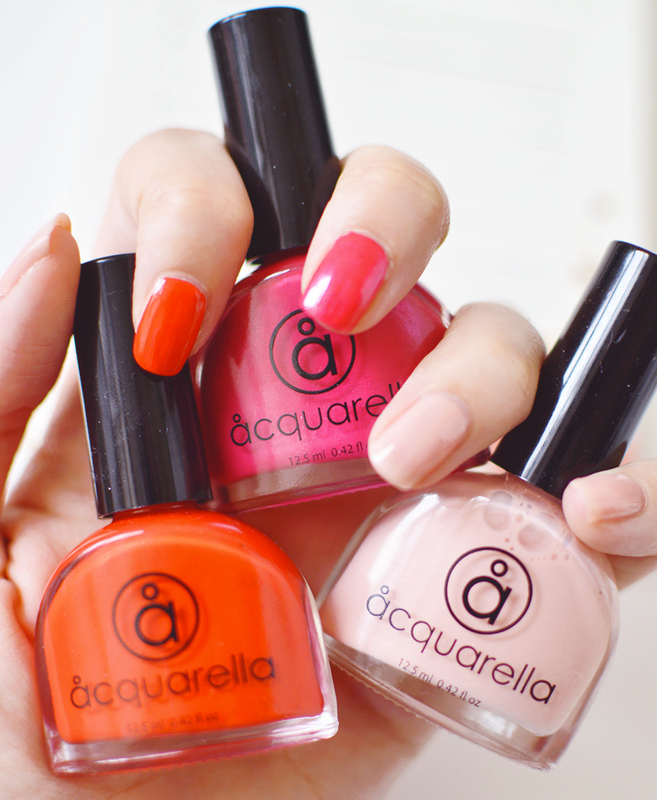 So when Acquarella launched onto Naturisimo I was very interested to see if they would hold up against already established brands such as Little Ondine, Kure Bazaar, etc. 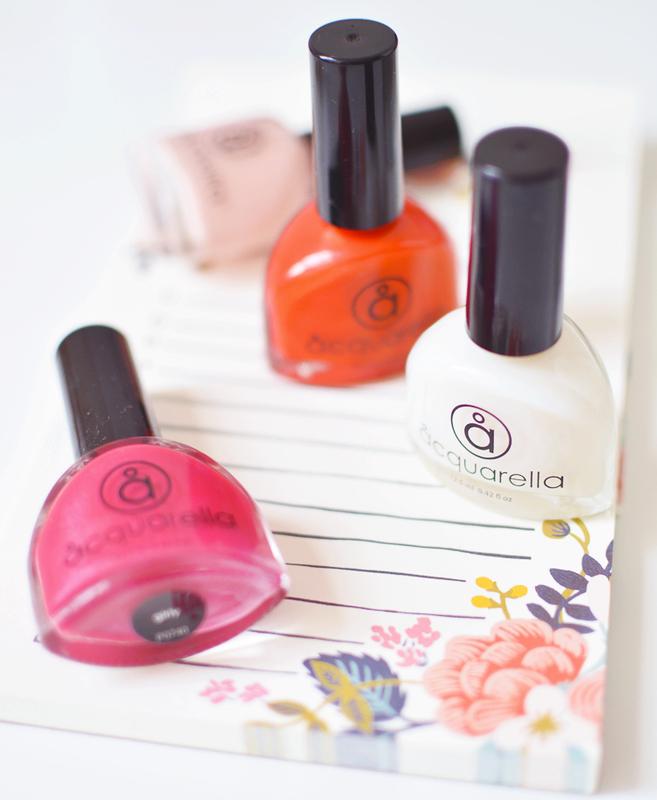 Acquarella polish is water-based, scent free, fast drying and long lasting. The shades I've tried are Girly (pink), Zesty (Tomato red), French Vanilla (sheer peach) and their clear nail conditioner. 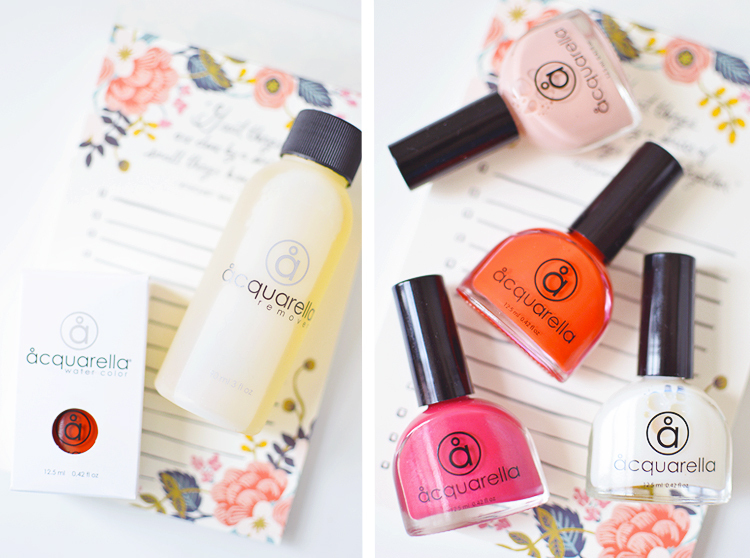 I have been pleasantly surprised and the brand has proven to me that we don't need nail polish with fumes that could knock you out to have a long lasting manicure. Unlike conventional polish, Acquarella is free from Toluene, DBP, Formaldehyde or petrochemical solvents. They're non-flammable and are not considered hazardous like regular polish. Their water-based formula is breathable and won't discolour nails, and is also safe for use during pregnancy and for those with asthma. Uhm, is there anything they can't do? French Vanilla is a gorgeous sheer peach shade and my favourite of the bunch. Pictured above is three coats for almost opaque coverage. A perfect looking manicure lasted about 2 days, and from there minor chipping began, it was honestly nothing major but I'm a serial picker and as soon as chips begin to show my brain gleefully tells my fingers to absentmindedly pick that polish off when I'm watching TV, damn. 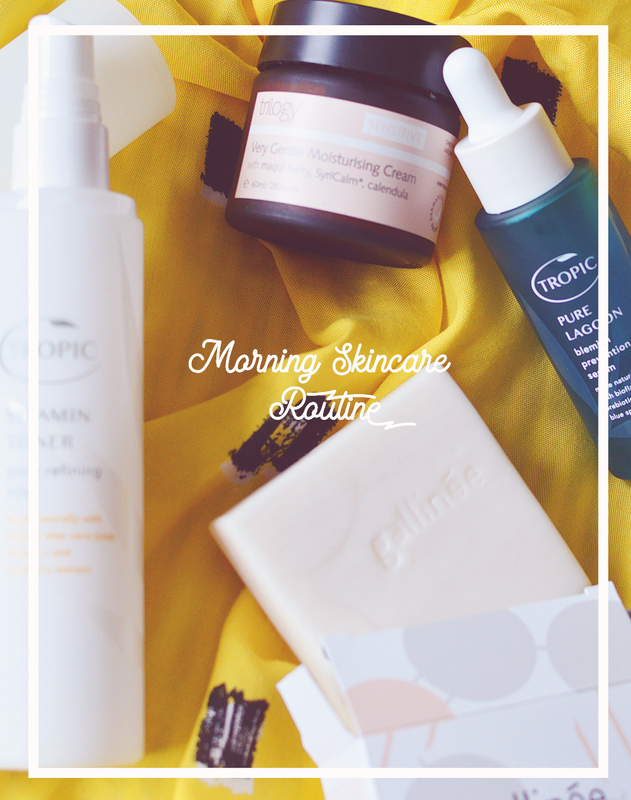 I was incredibly impressed with Girly and Zesty, too, both applied flawlessly and were fully opaque in one coat! Paired with the fast drying formula you can literally paint and be touch dry and ready to go in 5 minutes. The Nail Conditioner is a clear, super glossy nail prep product that hydrates and strengthens nails. I can't vouch for the treatment aspect as my nails are really strong and grow way too fast for my liking - it's kind of annoying (humble brag). BUT, It sure is glossy and would be perfect for someone looking to treat their nails and keep them looking neat and shiny. I also received the remover which I don't really rate - it just did a poor job, so stick with the polishes and you'll be good.